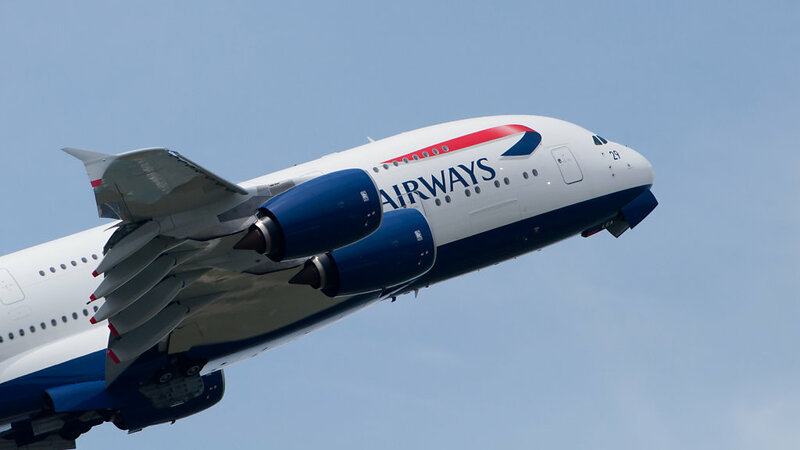 British Airways Airbus A380 flying at Paris Air Show 2013. British Airways Airbus A380-841 (reg. F-WWSK, c/n 095, normally G-XLEA) at Paris Air Show 2013.